Is your AC turning on and off again? It’s definitely not normal. Short-cycling occurs when your AC turns on and off, over and over, without going through a proper cooling cycle. In the short-term, short-cycling will stop your home from getting cooler. In the long-term, you’re looking at costly repairs and possibly even replacement. 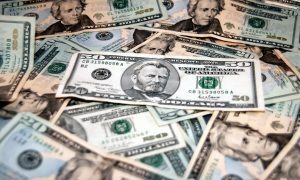 The bad news is that short-cycling can have a profound effect on your next energy bill. The good news, though, is that the earlier you take care of the problem, the better off you’ll be. Keep reading to find out why short-cycling is more than just an annoyance. One of the most important services that we offer our customers is routine maintenance service for their cooling and heating systems. We strongly recommend homeowners arrange for a maintenance tune-up and inspection in spring for their air conditioning systems. 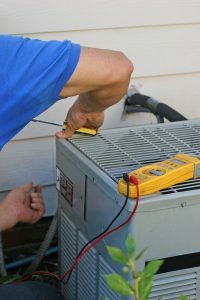 The work we do on your AC, such as tightening electrical connections, lubricating moving parts, and checking for a drop in refrigerant pressure, will give the system the best chance of making it through another sweltering Florida summer without suffering a breakdown. That will give you peace of mind, one of the best rewards. There are other reasons to have routine air conditioning maintenance in Lake City, FL each year. 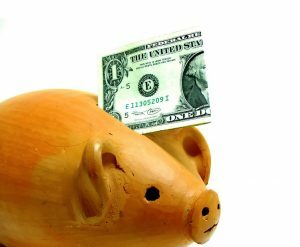 Many of those reasons are about saving money. 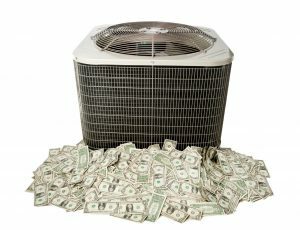 The price you pay for regular maintenance will come back to you with interest through the many ways AC maintenance reduces various costs. Air conditioning efficiency is something that’s a hot topic in Florida. You might think your high bills are normal, something you’re stuck with whenever the weather is warm simply because you live here. Then, a neighbor tells you they’re paying about half of what you do every month! This is an example of why many people call our technicians for help cutting down electricity bills. It is possible. In some cases, a change in the way you use your air conditioner will help improve your bills to an extent. However, you might find out that your system needs repair. We’ll help you learn about some of the surprising things that affect AC efficiency in our area in today’s list. Regular maintenance, as we’ve discussed before, is key to keeping your air conditioner running smoothly for longer. This is something that should always be handled by a professional technician, someone who knows the ins and outs of central AC systems and can spot AC repairs sooner. 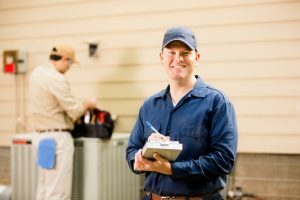 Regular tune-ups involve many steps, but not every step of air conditioning maintenance can (or should) be handled by the pros. Completing this one simple step, once a month at least, can make your air conditioner run better, last longer, and use less energy—meaning that overall, you save! 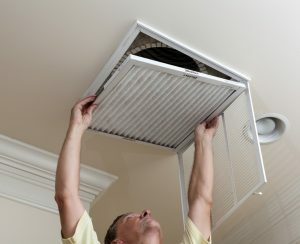 4 Common AC Repairs: Don’t Wait to Fix These! 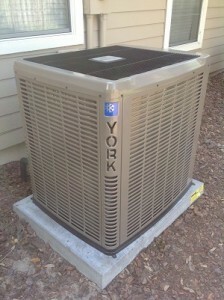 Your air conditioner is, of course, more than just a box that shoots cold air out. 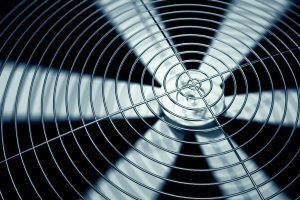 It’s a complex collection of mechanical and electrical components that all work together towards a goal of removing heat from your home’s air in order to move refrigerated air into it. That said, when any single component runs into trouble, the entire air conditioner may be soon to follow. It doesn’t take long for one worn-down part to begin wreaking havoc for the entire system. The other parts have to compensate for the loss, and that can cause wear that’s tough to remedy. 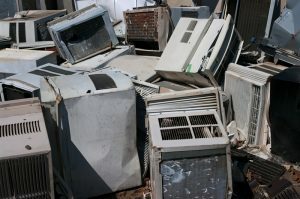 Don’t let your air conditioner go into a state of disrepair for longer than you should. 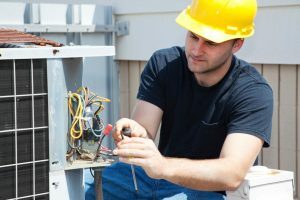 Check out a few of the most common AC repairs we make and learn why you shouldn’t wait to call for repairs. Posted in Air Conditioning | Comments Off on 4 Common AC Repairs: Don’t Wait to Fix These! You’re going to be using your air conditioner more and more often over the next few months. More use means more wear and tear, which means more chances for a problem to develop. If you take certain steps, though, you can make sure that your air conditioner is in top condition to cope with the added demand. Have a look at the two major things you can do to ensure the health of your AC.